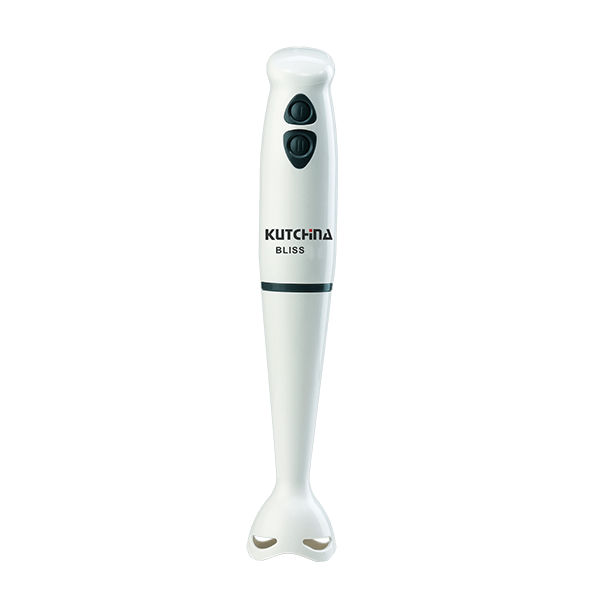 Kutchina Bliss hand blender is one of the most time-saving tools you can have in your kitchen. This model has a sleek body design and is easy to handle and use. The immersion blade of this model has been designed in such a way that you can quickly prepare smoothies, batter, sauces, and chutneys. This model takes up very little space in your kitchen’s countertop as it has a compact design. The detachable body design of this model makes it easy to clean. Kutchina Bliss hand blender is safe to use as its mixing stick is made from high-quality food grade plastic. Any appliance that saves time in your kitchen is a must-have. Kutchina MISI 500 mixer grinder is your perfect companion to complete your cooking tasks in a jiffy. Equipped with a high-power hybrid motor, this model has a powerful grinding capacity that allows you to easily grind your spices to perfection. Three jars, including wet jar, dry jar, and chutney jar come included with this model. The incher/pulse function of this model makes it easy for you to process delicate food items such as onions and hard-boiled eggs. Both jars and the body of the mixer grinder are made of food grade materials. Kutchina Zephire 24L OTG combines the function of an oven, a toaster, and a grill while taking up very little space in your kitchen. The high-quality stainless steel heating element of this model speeds up cooking, grilling, and baking time. The tree control norms have a simple layout and allow easy setting adjustments. The opening/closing lead has an ergonomic handle. Accessories that come with this model are 1 inner lamp, 1 tray handle, 1 wire rack, and 1 enamel back tray. Toast your bread slices to perfection using Kutchina Crescent 2 Slice toaster. The innovative design of the heating element of this model ensures uniform heating in every bread slice. The function of this model is not just limited to toasting the bread slices, you can also thaw frozen bread slices using the defrost mode. Use the reheat mode to heat toasted bread slices without risking them to burn. The 7 different heating levels give you the flexibility to get crunchy and crispy bread slices. Small kitchen tasks like boiling/heating water and milk are the ones that take up a significant amount of time. Speed up this task with Kutchina Eva 1L electric kettle. Using this model, you can heat or boil water, milk, and tea of up to 1 litre. The content level indicator on the body of this model makes it easy for you to heat or boil water or milk in just the right amount. Kutchina Eva 1L electric kettle has a cordless body design; this feature allows superior mobility. The heating base of this model has a 360° turntable design. Also, the concealed wiring makes this appliance safe to use.